Description: The assumption about Unis is that they hate getting dirty. I, on the other hand, love making a mess. Description: This part of my story began in the Pound, just like many other Neopets. Description: I still remember what they said when they first captured me. Description: The best way to get Ummagines is to go find them ourselves. As we probably all know, Ummagines grow deep underground. Description: There were black clouds stretched from one horizon to the other, right in our flight path. We were flying right towards a thunderstorm! Description: The familiar howling of a baby Lupe cut through the silence of the Lost Desert. Description: But what happens if you stumble across him as he's catching faeries? Would you try to stop him? And if you did, what would he do to you? Description: Each night, when he was done for the day, I would pepper him with questions as to what he was up to. "Just wait and see," was his constant response. Description: It was what some Neopians called a "grey day," where you feel like you've been painted grey in your sleep. Description: I looked at the ancient parchment I was holding between my front hooves, then raised my head and looked out the forward windscreen of my owner's two-man Virtupets space fighter as it flew high above the Lost Desert. Description: It had been almost three days since my younger sister, Ludroth the Darigan Peophin, had gone missing while visiting the Royal Museum in Sakhmet. Description: "Legends say that my curse can be broken with the aid of another Uni," he said. Description: "I dreamed I was racing a shooting star across Meridell." Fountain's Closed. Everyone Go Home. The Wocky pulled back the string, sure of his aim. Nil had to act without flaw or hesitation or else the Lupe would die. 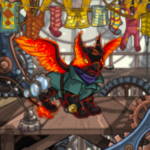 How about EXTREME Gormball with my magma pet? You can't exactly ride on your Flotsam, contrary to popular belief. My hair is dry and frizzy!